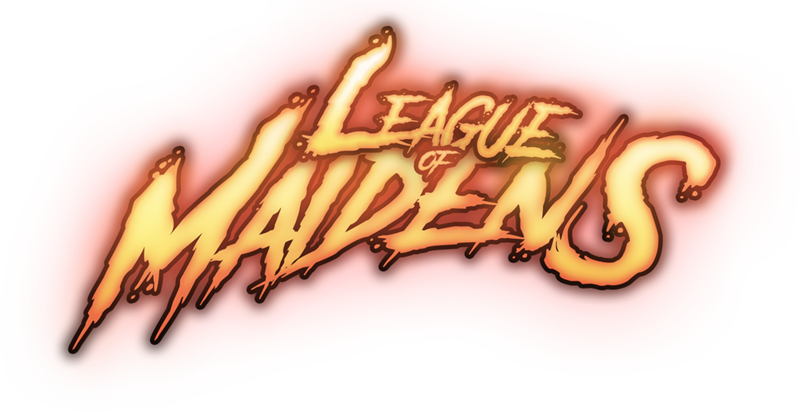 League of Maidens (the “Game”) is a free-to-play, tower defense battle-arena computer game developed and operated by Maiden Gaming, Inc., a North Carolina Corporation (“Maiden Gaming”). For purposes of this Agreement (defined below), “you” and “your” mean the user of the computer on which the Game will be or has been installed. The Site and the Game are available for use only by authorized end users in accordance with the terms and conditions set forth in this Agreement. Your rights to use the Game software (the “Software”) are defined in and subject to the terms and conditions of the Game End User License Agreement (the “EULA”) (http://www.maidengaming.net/eula), which is incorporated herein by reference, in addition to this Agreement. The Site, the Game, the Software and “fan kits,” if any are made available (collectively, the “Properties”) are provided for your individual, non-commercial, entertainment purposes only. Except as may be expressly permitted by Maiden Gaming, you may not sell, copy, exchange, transfer, publish, assign or otherwise distribute anything you copy or derive from the Properties. In using the Site, and/or by clicking “accept” when you install the Software, you acknowledge that you have read, understand and agree with the terms of this Agreement. In order to participate in the Game, you must also: (i) read, understand and agree to the EULA; (ii) install a valid copy of the Software; (iii) register for an account in the Game (an “Account”); and (iv) meet the hardware and connection requirements published on the Site. These requirements may change as the Game evolves. You are wholly responsible for the cost of all internet connection fees, along with all equipment, servicing, or repair costs necessary to allow you access to the Game. B. Eligibility. Only “natural persons,” as opposed to any kinds of legal entities (e.g., corporations, limited liability companies, and/or partnerships), shall have the privilege of establishing an Account. By entering into this Agreement and creating an Account, you represent that you are an adult and have the legal capacity to enter into a contract in the jurisdiction where you reside. You agree to comply with this Agreement on behalf of yourself and, at your discretion, any minor children for whom you are the parent or legal guardian and whom you have authorized to play the Game using your Account. You further agree that you are entirely liable for all activities conducted through your Account, and are responsible for ensuring that you and/or your child is aware of, understands, and complies with the terms of this Agreement and any and all other Maiden Gaming rules, policies, notices and/or agreements. THE SITE AND THE GAME ARE NOT DIRECTED AT CHILDREN UNDER 13 YEARS OF AGE, NOR DOES MAIDEN GAMING KNOWINGLY COLLECT INFORMATION FROM CHILDREN UNDER 13. IF YOU ARE UNDER 13, PLEASE DO NOT SUBMIT ANY PERSONALLY IDENTIFIABLE INFORMATION TO MAIDEN GAMING. C. Login Credentials. In creating an Account, you will be required to select a unique username and password (collectively, “Login Credentials”), which you will use each time you access the Game. You may not share your Account with anyone other than as expressly set forth herein, and you are entirely responsible for maintaining the confidentiality of your Login Credentials and for any and all activities (including purchases and charges, as applicable) that are conducted through your Account. Please notify Maiden Gaming immediately if you become aware of any breach of security, including any loss, theft or unauthorized disclosure of your Login Credentials. D. Account Sales. The Account supplied to you is personal to you, and Maiden Gaming does not recognize and expressly forbids the transfer of user Accounts. You shall not purchase, sell, gift or trade any Account, or make any such offer, and any attempt shall be null and void. Any distribution by you of your Account and/or your Login Credentials (except as expressly provided herein or otherwise explicitly approved of by Maiden Gaming) may result in suspension or termination of your Account. A. Intellectual Property. All rights and title in and to the Properties, and all content included therein (including, without limitation, user Accounts, computer code, titles, objects, artifacts, characters, character names, locations, location names, stories, story lines, dialog, catch phrases, artwork, graphics, structural or landscape designs, animations, sounds, musical compositions and recordings, currency (defined below), audio-visual effects, character likenesses, and methods of operation) are owned by Maiden Gaming or its licensors. The Properties, and all content therein are protected by United States and other international intellectual property laws. Maiden Gaming and its licensors reserve all rights in connection with the Properties, including, without limitation, the exclusive right to create derivative works therefrom. You agree that you will not create any work of authorship based on the Properties except as expressly permitted by Maiden Gaming. Additionally, except as otherwise set forth in this Section IV.A, Maiden Gaming does not authorize you to make any use whatsoever of any Maiden Gaming trademarks, service marks, trade names, logos, domain names, taglines, and/or trade dress (collectively, the “Maiden Gaming Marks“) under any circumstances without a written license agreement. Any reproduction, redistribution, or modification of the Properties, or use of the Properties not in accordance with the EULA or this Agreement, is expressly prohibited by law and may result in severe civil and criminal penalties. B. Game Assets, Currency and Virtual Items. When using the Game, you may accumulate in-Game assets associated with your Account, including, without limitation, objects, artifacts, currency, items, equipment, and/or other value or status indicators (“Game Assets”) that reside on servers operated by Maiden Gaming as data. You acknowledge and agree that such Game Assets are accumulated as part of your Account and therefore you shall have no ownership or other property interest in any of those Game Assets. You further acknowledge and agree that Maiden Gaming has the right, but not the obligation, to delete, alter, move, remove, or transfer any and all Game Assets, in whole or in part, at any time and for any reason, with or without notice to you, and with no liability of any kind to you. Maiden Gaming does not provide or guarantee, and expressly disclaims any value, cash or otherwise, attributed to any data residing on servers operated by Maiden Gaming, including without limitation the Game Assets associated with your Account. If you have a valid, active Account, you may purchase crystals which can be purchased online through the in-Game store. Crystals might also be provided to you by Maiden Gaming as part of a promotion, or through other means, such as completing certain quests or achievements in the Game, or through Maiden Gaming-sponsored contests or sweepstakes. You agree that you will be solely responsible for paying any applicable taxes related to the acquisition of, use of or access to crystals. Crystals are sold or issued in bundles and the price may vary depending on the amount you purchase and where you are purchasing. As Maiden Gaming feels necessary, in its sole and absolute discretion, Maiden Gaming may limit the total amount of crystals that may be purchased at any one time, and/or limit the total crystals that may be held in your Account in the aggregate. Maiden Gaming will notify you in the event that you near any such limit. Additionally, price and availability of crystals and/or virtual items are subject to change without notice. You are solely responsible for verifying that the proper amount of crystals has been added to or deducted from your Account during any given transaction, so please notify Maiden Gaming immediately should you believe that a mistake has been made with respect to your crystals balance. Maiden Gaming will investigate your claim, and in doing so, may request some additional information and/or documentation to verify your claim. Maiden Gaming will let you know the results of the investigation, however, you acknowledge and agree that Maiden Gaming has sole and absolute discretion in determining whether or not your claim is valid, and if so, the appropriate remedy. YOU FURTHER ACKNOWLEDGE AND AGREE THAT THE CRYSTALS SYSTEM AND THE VIRTUAL ITEMS YOU ACQUIRE HAVE NO MONETARY VALUE AND CANNOT BE REDEEMED FOR CASH. NO REFUNDS WILL BE MADE FOR THE PURCHASE OF CRYSTALS OR FOR VIRTUAL ITEMS OBTAINED USING CRYSTALS. Some Virtual Items you obtain may have expiration dates while others do not, and each virtual item you obtain using crystals will be included in your Account until the earlier of that Virtual Item’s expiration date, or your Account’s expiration or termination date, or such date when Maiden Gaming ceases to offer or support the Game. The sale or transfer of virtual items or crystals between users may only be conducted via services approved of and provided by Maiden Gaming, if any, and Maiden Gaming may terminate any Account that acts in contravention of this prohibition. NOTWITHSTANDING ANYTHING TO THE CONTRARY HEREIN, YOU ACKNOWLEDGE AND AGREE THAT YOU SHALL HAVE NO OWNERSHIP OR OTHER PROPERTY INTEREST IN YOUR ACCOUNT, AND YOU FURTHER ACKNOWLEDGE AND AGREE THAT ALL RIGHTS IN AND TO THE ACCOUNT ARE AND SHALL FOREVER BE OWNED BY AND INURE TO THE BENEFIT OF MAIDEN GAMING. YOU ACKNOWLEDGE AND AGREE THAT YOU HAVE NO CLAIM, RIGHT, TITLE, OWNERSHIP OR OTHER PROPRIETARY INTEREST IN THE GAME ASSETS, VIRTUAL ITEMS OR CRYSTALS THAT YOU ACQUIRE, REGARDLESS OF THE CONSIDERATION OFFERED OR PAID IN EXCHANGE FOR CRYSTALS OR VIRTUAL ITEMS. FURTHERMORE, MAIDEN GAMING SHALL NOT BE LIABLE IN ANY MANNER FOR THE DESTRUCTION, DELETION, MODIFICATION, IMPAIRMENT, “HACKING,” OR ANY OTHER DAMAGE OR LOSS OF ANY KIND CAUSED TO THE GAME ASSETS, VIRTUAL ITEMS, SOFTWARE INSTALLATION OR CRYSTALS, INCLUDING BUT NOT LIMITED TO THE DELETION OF GAME ASSETS, VIRTUAL ITEMS OR CRYSTALS ON, BEFORE OR AFTER THE TERMINATION OR EXPIRATION OF YOUR ACCOUNT. C. Unsolicited Idea Submissions. Maiden Gaming values your feedback on its services and products, but please do not submit any creative ideas, suggestions or materials. Neither Maiden Gaming nor any of its employees and/or contractors accept or consider unsolicited ideas, original creative artwork or other works, including, without limitation, ideas or suggestions for new or improved games or technologies, game or product enhancements, marketing plans or names for new games (collectively “Unsolicited Ideas”). Please do not send your Unsolicited Ideas to Maiden Gaming or its employees and/or contractors. This policy is aimed at avoiding potential misunderstandings or disputes when Maiden Gaming’s products or services might seem similar to Unsolicited Ideas that are submitted. If you do submit your Unsolicited Ideas to Maiden Gaming or to any of its employees and/or contractors despite this policy, then you hereby acknowledge and agree that, from the time of transmission or dispatch, you grant Maiden Gaming and its designees a worldwide, perpetual, irrevocable, sublicenseable, transferable, assignable, non-exclusive and royalty-free right and license to use, reproduce, distribute, adapt, modify, translate, create derivative works of, publicly perform, publicly display, digitally perform, make, have made, sell, offer for sale and import your Unsolicited Ideas, including, without limitation, all copyrights, trademarks, trade secrets, patents, industrial rights and all other intellectual and proprietary rights related thereto, in any media now known or hereafter developed, for any purpose whatsoever, commercial or otherwise, including, without limitation, giving the Unsolicited Ideas to others, without any compensation to you. To the extent necessary, you agree that you undertake to execute and deliver any and all documents and perform any and all actions necessary or desirable to ensure that the rights to use the Unsolicited Ideas granted to Maiden Gaming as specified above are valid, effective and enforceable. You also give up any claim that any use by Maiden Gaming and/or its licensees of your Unsolicited Ideas violates any of your rights, including but not limited to moral rights, privacy rights, rights to publicity, proprietary or other rights, and/or rights to credit for the material or ideas set for therein. M. Logging out or exiting the Game during live game-play. Maiden Gaming tracks this data overtime and issues a temporary ban when a user is determined to have left mid-game too many times. The length of the temporary ban will increase over time if a particular Account continues to leave live game play. A. Ownership. “Content” means any communications, images, sounds, and all the material and information that you upload or transmit through the Site or the Game, or that other users upload or transmit, including, without limitation, any Forum (defined below) postings and/or the in-Game real-time interactive chat text (“Chat”). You hereby acknowledge and agree that you remain fully responsible for and are the owner of any and all Content. However, you grant Maiden Gaming from the time of uploading or transmission of the Content, non-exclusively, all now known or hereafter existing copyrights and all other intellectual property rights to all Content of every kind and nature, in perpetuity (or for the maximum duration of protection afforded by applicable law), throughout the universe and you hereby grant Maiden Gaming as a present non-exclusive license of future rights all such intellectual property rights to the extent owned by you. In the event that any of the Content is not licensable, you hereby grant to Maiden Gaming and its licensors, including, without limitation, its respective successors and assigns, a perpetual, irrevocable, sublicensable, transferable, worldwide, paid-up right to reproduce, fix, adapt, modify, translate, reformat, transmit, or provide access to electronically, broadcast, communicate to the public by telecommunication, display, perform, enter into computer memory, and use and practice such Content as well as all modified and derivative works thereof, without compensation to you. To the extent necessary, you agree that you will undertake to execute and deliver any and all documents and perform any and all actions necessary or desirable to ensure that the rights to use the Content granted to Maiden Gaming as specified above are valid, effective and enforceable. You also hereby waive any moral rights you may have in such Content under the laws of any jurisdiction to the maximum extent permitted by the laws of your jurisdiction. You represent, warrant and agree that none of the Content will be subject to any obligation, whether of confidentiality, attribution or otherwise, on the part of Maiden Gaming and Maiden Gaming will not be liable for any use or disclosure of any Content. You further acknowledge and agree that you shall not upload or otherwise transmit on or through the Site or the Game any Content that is subject to any third-party rights. B. Consent to Monitoring. Maiden Gaming does not, and cannot, pre-screen or monitor all Content. However, its representatives may monitor and/or record your communications (including, without limitation, Forum postings and/or Chat) when you are playing the Game or using the Site, and you hereby provide your irrevocable consent to such monitoring and recording. You acknowledge and agree that you have no expectation of privacy concerning the submission of any Content, and you further acknowledge and agree that your Chat may be used as part of banning decisions. Maiden Gaming does not assume any responsibility or liability for Content that is generated by users of the Site and/or Game. Maiden Gaming has the right but not the obligation, in its sole discretion, to edit, refuse to post, or remove any Content. Furthermore, Maiden Gaming also reserves the right, at all times and in its sole discretion, to disclose any Content for any reason, including, without limitation (i) to satisfy any applicable law, regulation, legal process or governmental request; (ii) to enforce the terms of this Agreement or any other agreement; (iii) to protect the legal rights and remedies of Maiden Gaming; (iv) where someone’s health or safety may be threatened; (v) to report a crime or other offensive behavior. Please take care to not provide any personally identifiable information in the Chat or the Forums and to abide by the Code of Conduct, understanding that you do not have an expectation of privacy in the Content you provide in the Chat or Forums, and that members of Maiden Gaming and the Community, outside of those you play directly with or against in the Game, might have access to the information in the Chat or the Forums at any time. C. The Chat. All Chat will be recorded by Maiden Gaming and stored for a period determined by Maiden Gaming in its sole discretion, which period Maiden Gaming may change from time to time. Should your in-Game actions or conduct be reported by another user as being in contravention of the Code of Conduct, in violation of this Agreement or outside the scope of any one of Maiden Gaming’s policies, the entire Chat log from that particular reported Game session will be reviewed. D. Forums. If you have a valid and active Account, you may post communications and other content to the “forums” section of the Site (the “Forums”). You agree to abide by the Code of Conduct, as well as the policy concerning Links (found below) while participating in the Forums. You understand that much of the information included in the Forums is from other players who are not employed by or under the control of Maiden Gaming. You further acknowledge that a large volume of information is available in the Forums and that people participating in such Forums may occasionally post messages or make statements, whether intentionally or unintentionally, that are inaccurate, misleading, deceptive, abusive or even unlawful. Maiden Gaming neither endorses nor is responsible for such messages or statements, or for any opinion, advice, information or other utterance made or displayed in the Forums by you or the other users. The opinions expressed in the Forums reflect solely the opinions of you and/or the other users and may not reflect the opinions of Maiden Gaming. Maiden Gaming is not responsible for any errors or omissions in postings, for hyperlinks embedded in messages or for any results obtained from the use of the information contained in the Forums. Under no circumstances will Maiden Gaming be liable for any loss or damage caused by your reliance on the information in the Forums or your use of the Forums. You should be aware that, when you disclose information about yourself in a Forum, the information is being made publicly available and may be collected and used by other users. When you disclose any information in a Forum, you do so at your own risk. Maiden Gaming reserves the right to, but has no obligation to, monitor the Forums, or any postings or other materials that you or other players transmit or post on the Forums, to alter or remove any such materials, and to disclose such materials and the circumstances surrounding their transmission to any third party in order to operate the Site properly or to comply with legal obligations or governmental requests. B. The Properties. In an effort to improve the Properties, you agree that Maiden Gaming may change, modify, update, suspend, “nerf,” or restrict your access to any features or parts of the Properties, and may require that you download and install updates to the Software, at any time without notice or liability to you. You also understand and agree that any such changes or updates to the Properties might change the system specifications necessary to play the Game, and in such a case, you, and not Maiden Gaming, are responsible for purchasing any necessary additional software and/or hardware in order to access and play the Game. The Site may contain links to websites operated by other parties. Maiden Gaming provides these links to you as a convenience, or other users might be posting these links as user-provided Content. Use of these links and the external websites are at your own risk. The linked sites are not under the control of Maiden Gaming, and Maiden Gaming is not responsible for the content available on the other sites. Such links do not imply endorsement by Maiden Gaming of information or material on any other site, and Maiden Gaming disclaims all liability with regard to your access to and use of such linked websites. Should you choose to provide a link on the Site or within the Game (e.g., on the Forums or via Chat) to an external website, unless otherwise set forth in a written agreement between you and Maiden Gaming, you acknowledge and agree to the following: (i) the appearance, position and other aspects of the link may not be such as to damage or dilute the goodwill associated with Maiden Gaming’s and/or its licensors’ names and trademarks; (ii) the appearance, position and other attributes of the link may not create the false appearance that your organization or entity is sponsored by, affiliated with, or associated with Maiden Gaming; (iii) when selected by a user, the link must display the external website on full-screen and not within a “frame” on the linking Site; and (iv) Maiden Gaming reserves the right to revoke its consent to the link at any time and in its sole discretion. Some aspects of the Game may require you to pay a fee, and you agree that you will provide accurate and complete payment information to the third-party payment provider used by Maiden Gaming. You further agree to pay all fees and applicable taxes incurred by you or anyone using an Account registered to you. Maiden Gaming may revise the pricing for the Game or any item associated therewith at any time. All fees and charges are payable in accordance with payment terms in effect at the time the fee or the charge becomes due and payable. Maiden Gaming may, from time to time, modify, amend, or supplement its fees and fee-billing methods, and such changes shall be effective immediately upon posting in this Agreement or elsewhere on the Site or in the Game. If there is a dispute regarding payment of fees to Maiden Gaming, your Account may be closed without warning or notice at the sole discretion of Maiden Gaming. YOU ACKNOWLEDGE AND AGREE THAT ANY APPLICABLE FEES AND OTHER CHARGES FOR FEE-BASED SERVICES (INCLUDING WITHOUT LIMITATION TO CRYSTALS) ARE PAYABLE IN ADVANCE AND NOT REFUNDABLE IN WHOLE OR IN PART. YOU ARE FULLY LIABLE FOR ALL CHARGES TO YOUR ACCOUNT, INCLUDING ANY UNAUTHORIZED CHARGES. THE PROPERTIES ARE PROVIDED TO YOU ON AN “AS IS” AND “AS AVAILABLE” BASIS WITHOUT WARRANTIES OR REPRESENTATIONS OF ANY KIND, EXPRESS OR IMPLIED. TO THE FULLEST EXTENT PERMITTED BY APPLICABLE LAW, MAIDEN GAMING DISCLAIMS ALL WARRANTIES, EXPRESS OR IMPLIED, WHICH MIGHT APPLY TO THE PROPERTIES, INCLUDING WITHOUT LIMITATION, IMPLIED WARRANTIES OF TITLE, NON-INFRINGEMENT, MERCHANTABILITY, FITNESS FOR A PARTICULAR PURPOSE, ANY WARRANTIES THAT MAY ARISE FROM COURSE OF DEALING, COURSE OF PERFORMANCE OR USAGE OF TRADE, AND ANY WARRANTIES AS TO THE ACCURACY, RELIABILITY OR QUALITY OF ANY CONTENT OR INFORMATION CONTAINED WITHIN THE PROPERTIES. MAIDEN GAMING DOES NOT WARRANT THAT THE PROPERTIES WILL BE UNINTERRUPTED OR ERROR-FREE, THAT DEFECTS WILL BE CORRECTED, OR THAT THE PROPERTIES ARE FREE OF VIRUSES OR OTHER HARMFUL COMPONENTS. YOU ASSUME ALL RESPONSIBILITY FOR SELECTING THE PROPERTIES TO ACHIEVE YOUR INTENDED RESULTS, AND FOR THE INSTALLATION OF, USE OF, AND RESULTS OBTAINED FROM THE PROPERTIES. UNDER NO CIRCUMSTANCES, AND UNDER NO LEGAL THEORY, WHETHER IN CONTRACT, TORT (INCLUDING NEGLIGENCE), STRICT LIABILITY OR OTHERWISE, SHALL MAIDEN GAMING BE LIABLE TO YOU OR ANY OTHER PERSON FOR ANY INDIRECT, INCIDENTAL, CONSEQUENTIAL, SPECIAL, EXEMPLARY, OR PUNITIVE DAMAGES OF ANY KIND (INCLUDING, WITHOUT LIMITATION, DAMAGES FOR LOSS OF BUSINESS, LOSS OF DATA, LOSS OF GOOD WILL, OR LOST PROFITS), OR ANY DAMAGES FOR GROSS NEGLIGENCE OF ANY KIND (INCLUDING, WITHOUT LIMITATION, DAMAGES FOR WORK STOPPAGE, COMPUTER FAILURE OR MALFUNCTION, OR ANY OTHER COMMERCIAL DAMAGES OR LOSSES) ARISING FROM YOUR USE OR MISUSE OF THE PROPERTIES, EVEN IF MAIDEN GAMING KNEW OR SHOULD HAVE KNOWN OF THE POSSIBILITY OF SUCH DAMAGES. IN NO EVENT SHALL MAIDEN GAMING BE LIABLE FOR ANY DAMAGES IN EXCESS OF ANY AMOUNT YOU HAVE PAID TO MAIDEN GAMING FOR GAME-RELATED TRANSACTIONS, IF ANY, DURING THE SIX (6) MONTHS IMMEDIATELY PRIOR TO THE TIME YOUR CAUSE OF ACTION AROSE. You hereby acknowledge and agree that Maiden Gaming would suffer irreparable harm if this Agreement were not specifically enforced. Consequently, in addition to such monetary and other relief as may be recoverable at law, you agree that Maiden Gaming shall be entitled to specific performance or other injunctive relief, without bond, other security, or proof of damages, as remedy for any breach or threatened breach of this Agreement. Additionally, in the event any legal or administrative action or proceeding is brought by either party in connection with this Agreement and consistent with Section XV below, the prevailing party in such action or proceeding shall be entitled to recover from the other party all the costs, attorneys’ fees and other expenses incurred by such prevailing party as the result of the action or proceeding. A. Negotiations. Disputes can be expensive and time consuming for both parties. In an effort to accelerate resolution and reduce the cost of any dispute or claim related to this Agreement (“Claim”), you and Maiden Gaming agree to first attempt to informally negotiate any Claim for at least thirty (30) days (except those Claims expressly excluded in Section XV.F below). Maiden Gaming will send its notice to the address it has on file to the extent that you have provided additional contact information to Maiden Gaming (e.g. by participating in a promotion or survey, or contacting a customer services representative). Otherwise, Maiden Gaming will send its notice to the email address associated with your Account. You will send your notice to Maiden Gaming, Inc., PO BOX 7546 Charlotte, North Carolina 28241, Attn: Legal Department. Please note that this informal resolution procedure does not suspend any statutory limitation periods applicable to the bringing of a Claim. B. Binding Arbitration. If the parties fail to resolve a Claim through negotiations, within such thirty (30)-day period, either you or Maiden Gaming may elect to have the Claim (except as otherwise provided in Section XV.F) finally and exclusively resolved by binding arbitration by sending a written notice requesting arbitration to the other party. Any election to arbitrate by one party shall be final and binding on the other. The arbitration will be conducted under the Commercial Arbitration Rules of the American Arbitration Association (“AAA Rules”) and, where appropriate, the AAA’s Supplementary Procedures for Consumer Related Disputes (“AAA Consumer Rules”) that are in effect at the time the arbitration is initiated and under the terms set forth in this Agreement. Both the AAA Rules and the AAA Consumer Rules can be found at the AAA website, www.adr.org. In the event of a conflict between the terms set forth in this Section XV.B and either the AAA Rules or the AAA Consumer Rules, the terms in this Section XV.B will control and prevail. Except as otherwise set forth in Section XV.F, you may seek any remedies available to you under federal, state or local laws in an arbitration action. As part of the arbitration, both you and Maiden Gaming will have the opportunity for discovery of non-privileged information that is relevant to the Claim. The arbitrator will provide a written statement of the arbitrator’s decision regarding the Claim, the award given and the arbitrator’s findings and conclusions on which the arbitrator’s decision is based. The determination of whether a Claim is subject to arbitration shall be governed by the Federal Arbitration Act and determined by a court rather than an arbitrator. Except as otherwise provided in this Agreement, (i) you and Maiden Gaming may litigate in court to compel arbitration, stay proceedings pending arbitration, or confirm, modify, vacate or enter judgment on the award entered by the arbitrator; and (ii) the arbitrator’s decision is final, binding on all parties and enforceable in any court that has jurisdiction, provided that any award may be challenged if the arbitrator fails to follow applicable law. D. Location. The arbitration will take place in your hometown area if you so notify Maiden Gaming in your notice of arbitration or within ten (10) days following receipt of Maiden Gaming’s arbitration notice. In the absence of a notice to conduct the arbitration in your hometown area, the arbitration will be conducted in Charlotte, North Carolina, unless the parties agree to video, phone and/or internet connection appearances. Any Claim not subject to arbitration (other than claims proceeding in any small claims court), or where no election to arbitrate has been made, shall be decided exclusively by a court of competent jurisdiction in Charlotte, North Carolina, United States of America, and you and Maiden Gaming agree to submit to the personal jurisdiction of that court. G. Governing Law. Except as otherwise provided in this Agreement, this Agreement shall be governed by, and will be construed under, the laws of the United States of America and the law of the State of North Carolina, without regard to conflict of law principles. The application of the United Nations Convention on Contracts for the International Sale of Goods is expressly excluded. Other laws may apply if you choose to access the Game from outside of the United States. In such an event, those local laws shall affect this Agreement only to the extent necessary in that jurisdiction, and this Agreement shall be interpreted to give maximum effect to the terms and conditions in this Agreement. You are responsible for compliance with all local laws if and to the extent local laws are applicable. The New Zealand Consumer Guarantees Act of 1993 (the “Act”) may apply to the Game if you access the Game from, and are a resident of, New Zealand. Notwithstanding anything to the contrary in this Agreement, if the Act applies then you may have other rights or remedies as set out in the Act which may apply in addition to or instead of those set out in this Agreement. H. Severability. You and Maiden Gaming agree that if any portion this Section XV is found illegal or unenforceable (except any portion of Section XV.F), that portion shall be severed and the remainder of the Section shall be given full force and effect. If Section XV.F is found to be illegal or unenforceable then neither you nor Maiden Gaming will elect to arbitrate any Claim falling within that portion of Section XV.F found to be illegal or unenforceable and such Claim shall be exclusively decided by a court of competent jurisdiction within Charlotte, North Carolina, United States of America, and you and Maiden Gaming agree to submit to the personal jurisdiction of that court. This Agreement (and all subsequent modifications, if any) shall remain effective until terminated. Both you and Maiden Gaming may terminate this Agreement at any time for any reason or for no reason. Termination by Maiden Gaming will be effective upon notice to you, termination or deletion of your Account, or its decision to permanently discontinue offering and/or supporting the Game, which it may do at any time in its sole discretion. You may terminate this Agreement at any time simply by not using the Site or the Game. Upon termination of this Agreement, your right to use the Properties shall immediately cease. A. Assignment. Maiden Gaming may assign this Agreement, in whole or in part, to any person or entity at any time with or without your consent. You may not assign the Agreement without Maiden Gaming’s prior written consent, and any unauthorized assignment by you shall be null and void. B. Customer Contact. If you have any questions concerning these terms and conditions, or if you would like to contact Maiden Gaming for any other reason, please contact Maiden Gaming support, or visit the “support” tab on the Site. D. Force Majeure. Maiden Gaming shall not be liable for any delay or failure to perform resulting from causes outside the reasonable control of Maiden Gaming, including, without limitation, any failure to perform hereunder due to unforeseen circumstances or cause beyond Maiden Gaming’s control such as acts of god, war, terrorism, riots, embargoes, acts of civil or military authorities, fire, floods, accidents, strikes, or shortages of transportation facilities, fuel, energy, labor or materials. E. Location. The Site and the Game are operated by Maiden Gaming in the United States. Those who choose to access the Site and/or the Game from locations outside the United States do so on their own initiative and are responsible for compliance with applicable local laws. The Software is subject to United States export controls as set forth in the EULA. F. No Partnership. You agree that no joint venture, partnership, employment, or agency relationship exists between you and Maiden Gaming as a result of this Agreement or your use of the Site or the Game. G. No Waiver. Maiden Gaming’s failure to enforce any provision of this Agreement shall in no way be construed to be a present or future waiver of such provision, nor in any way affect the right of any party to enforce each and every such provision thereafter. The express waiver by Maiden Gaming of any provision, condition or requirement of this Agreement shall not constitute a waiver of any future obligation to comply with such provision, condition or requirement. H. Notices. Except as otherwise expressly provided herein, all notices given by you or required under this Agreement shall be in writing and addressed to: Maiden Gaming, Inc., PO BOX 7546 Charlotte, North Carolina 28241.